Arlington County incorporated multimodal improvements during this season’s repaving effort. As part of the County’s programmatic repavement effort, both N Veitch Street (between Wilson Blvd and Lee Highway) and N Troy Street (between Wilson Blvd and Key Blvd) were repaved in the summer/fall of 2018. 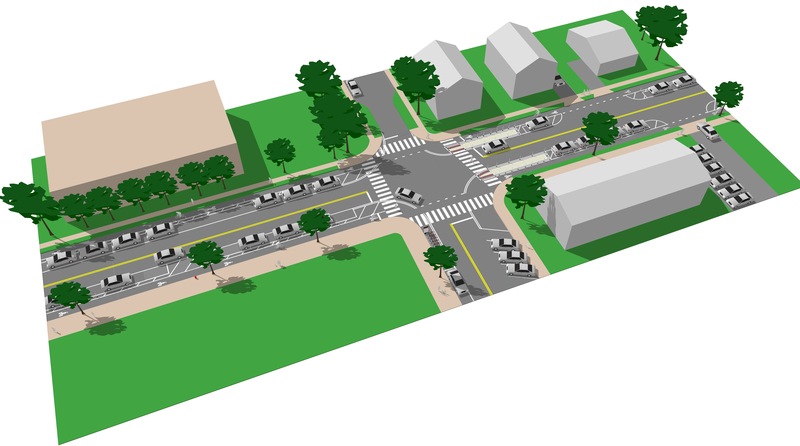 Multimodal improvements included the reconfiguration of parking spaces on N Troy Street to accommodate additional parking spaces (total gain of 8-10 parking spaces on N Troy Street). It also included changes to the parking structure on N Veitch Street to create space for a protected bike lane. 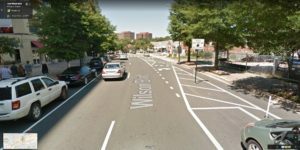 This protected bike lane will create a more bike-friendly connection between the Wilson/Clarendon Corridor and the Custis Trail. Paving and markings completed in summer-fall 2018. 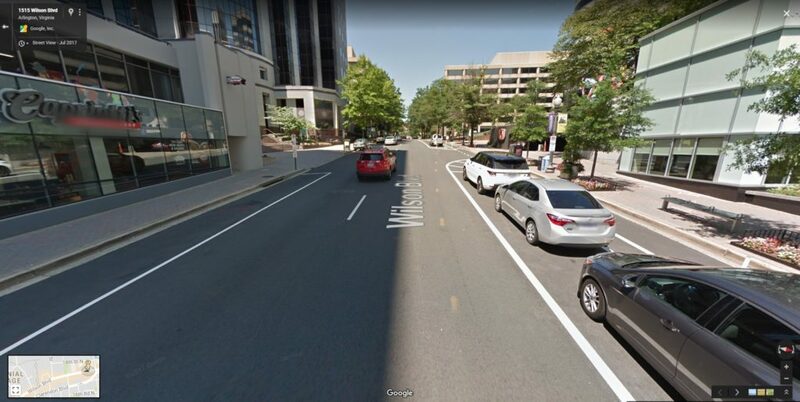 Completed minor reconfigurations in summer-fall 2018 to the streetscape to create space for elongation of the protected bike lane currently in place (from Oak St to Quinn St in Rosslyn) into the Courthouse neighborhood. 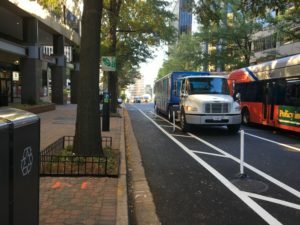 The fourth phase of the Rosslyn-Courthouse protected bike lane corridor will be the segment of Wilson Blvd between N Courthouse Rd and Veitch St. This segment will occur in conjunction with Courthouse area redevelopment efforts in the next several years. 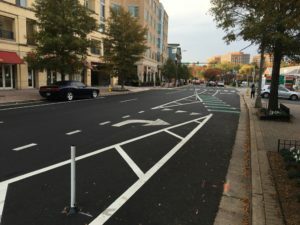 Phase 2: N Veitch St and N Troy St paving and markings completed fall 2018. N Troy St Update: The number of parking spaces on N Troy St between Wilson Blvd & Key Blvd was 137 prior to the repaving/remarking. Arlington County’s original proposed design included a total of 142 parking spaces on N Troy St. Once built and finalized, Arlington County staff were able to remark N Troy St to include a total 147 parking spaces—a net gain of ten spaces. All parking stalls are within County length and width specifications and accommodate both compact and regular vehicles. Phase 3: Wilson Blvd between N Quinn St and N Courthouse Rd paving completed summer 2018. 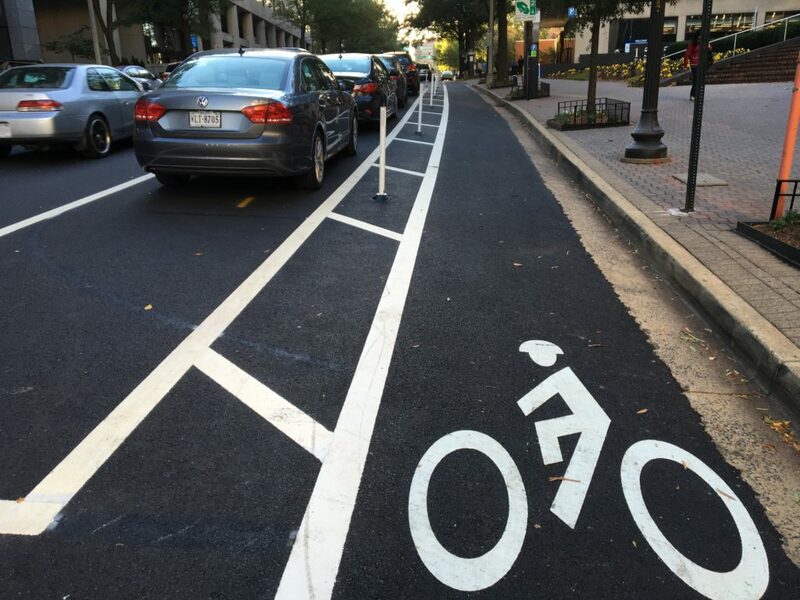 N Veitch St Update: Prior to the protected bike lane, County trash, recycling and yard waste carts were placed in the street along parking spaces. Now, we ask residents who live along this stretch to place their trash, recycling and yard waste carts on the utility strip to avoid blocking the bike lane. 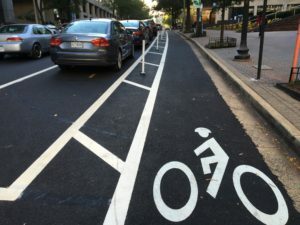 Any additional brush, Christmas trees, or special collection items should also be placed in this area to the best extent possible to minimize the impact on sidewalks and the bike lane. The County’s waste services contractor, American Disposal Services, has also been notified of this change and has been instructed to return the carts to the proper area. 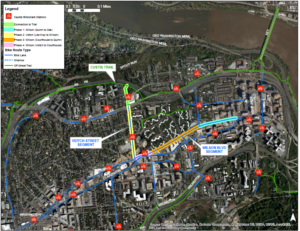 Arlington County gathered feedback on the Phase 2: N Veitch St and N Troy St improvement designs from the community at a public meeting on April 4, 2018 and an online comment form. Review the feedback we received and used to finalize the design plans. 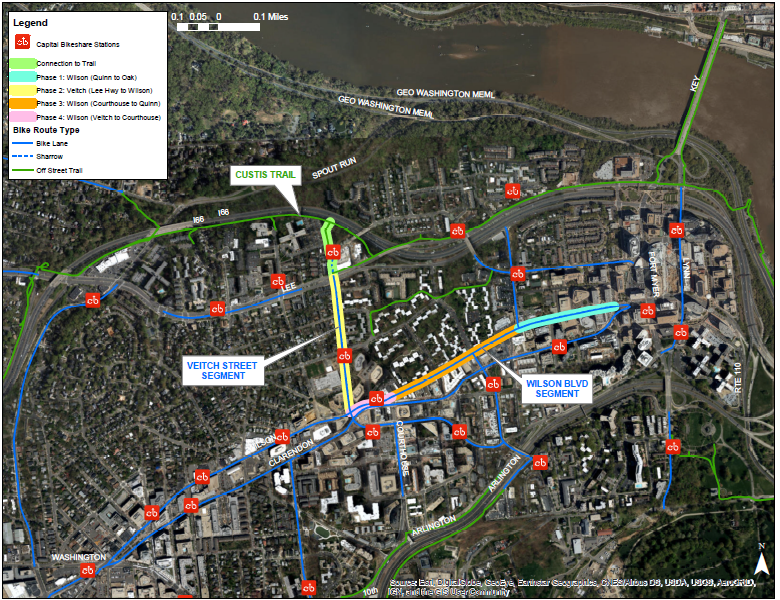 Arlington County gathered feedback on the Phase 3 Wilson Blvd improvements at a public meeting on May 7 and an online survey. Review the feedback we received and are using to finalize the design plans.